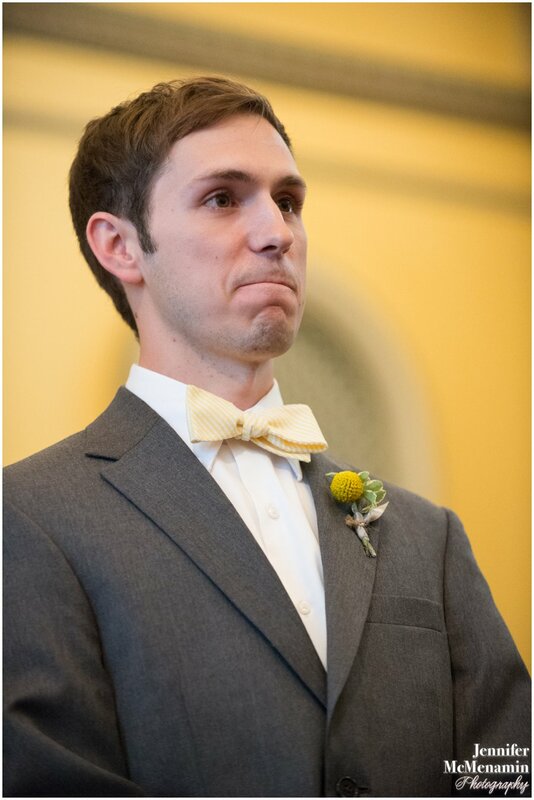 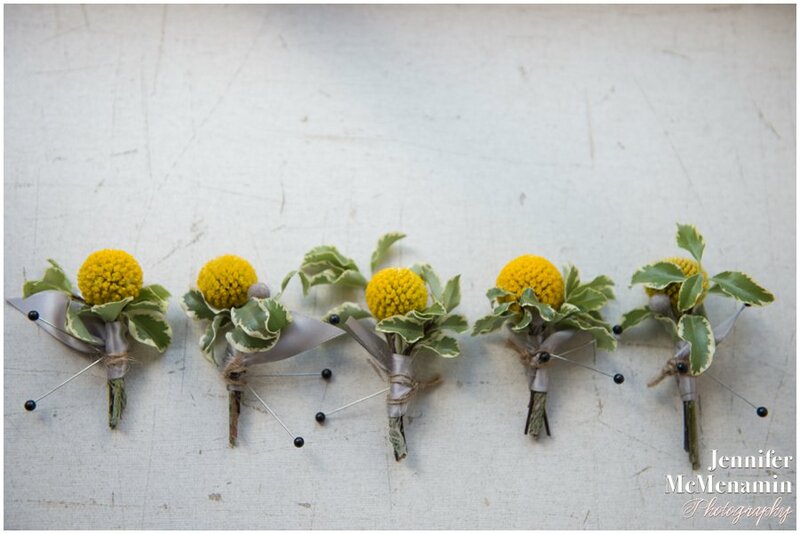 This wedding combined some of my very favorite things–a pretty summer palette of yellow and grey, the magnificent Geo. 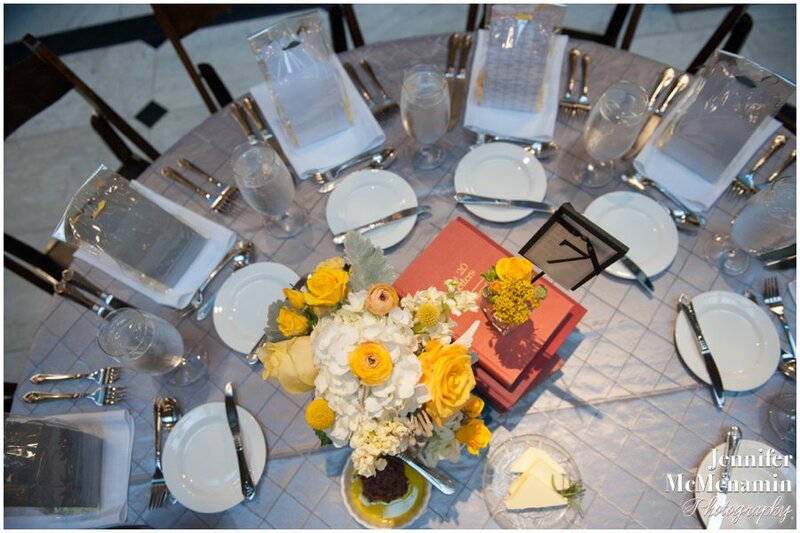 W. Peabody Library, Jennifer McMenamin Photography (definitely one of my all-time favorite photographers–so talented! 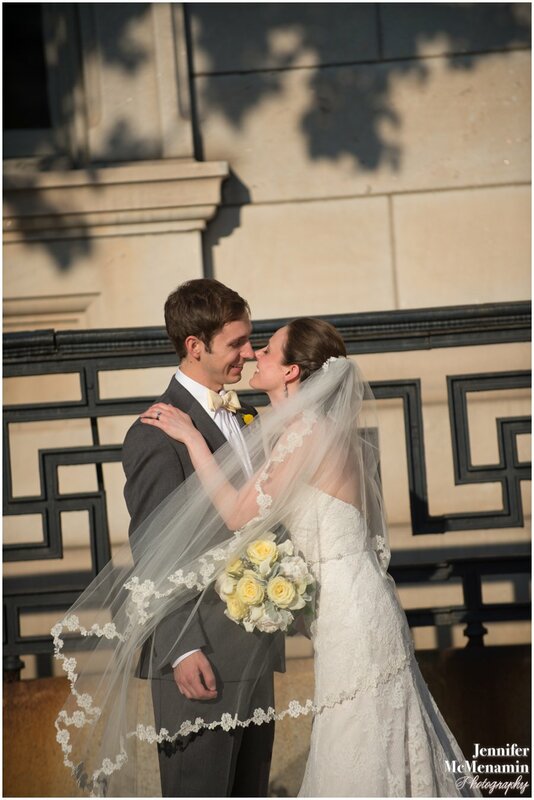 ), and a couple very much in love who obviously cherished every moment of their wedding day. 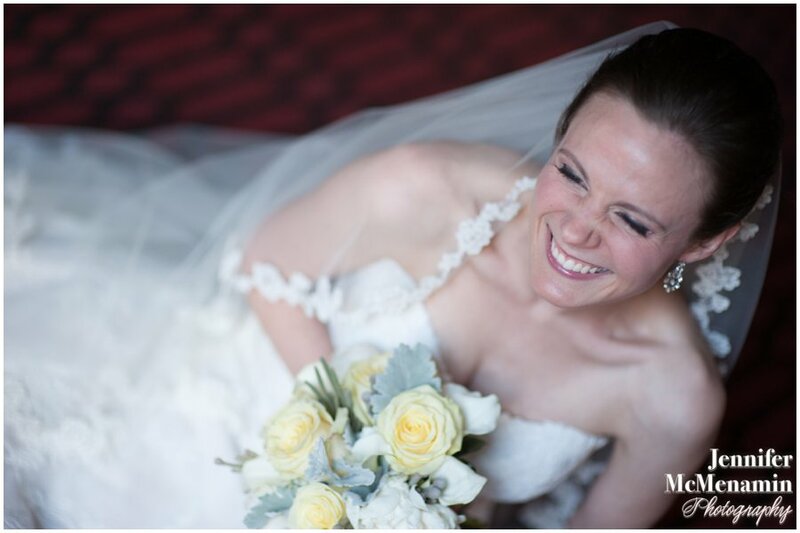 Katie and Sean were married in June of 2013 and the palette she selected was perfect for a sweet summer wedding. 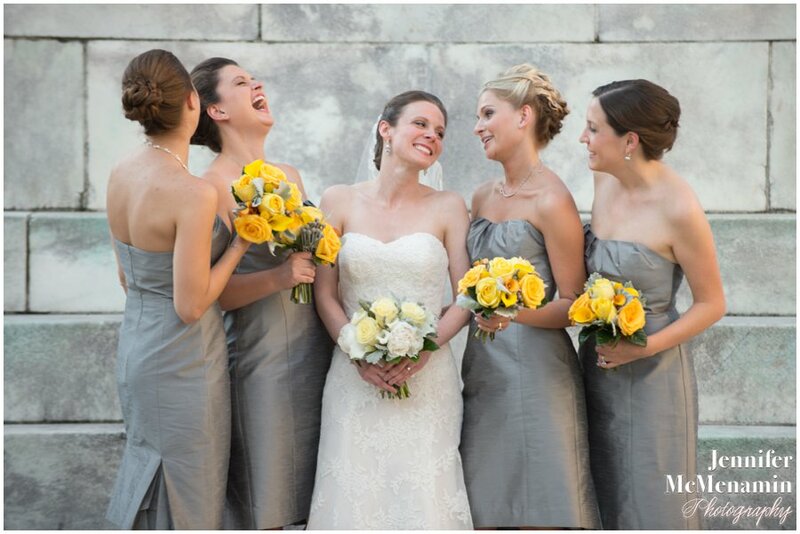 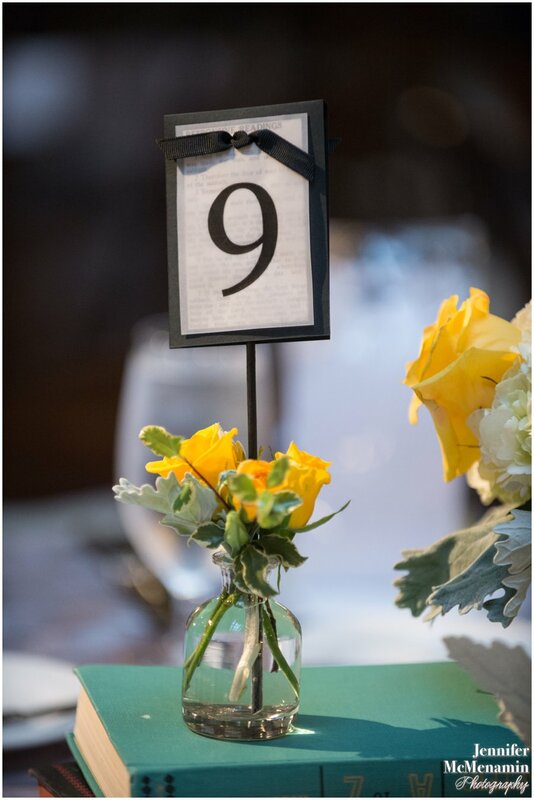 the maids wore charcoal grey dresses and the soft yellows with a few pops of deeper yellow and the accents of grey-silver by way of velvety dusty miller and silver brunia were the perfect complement. 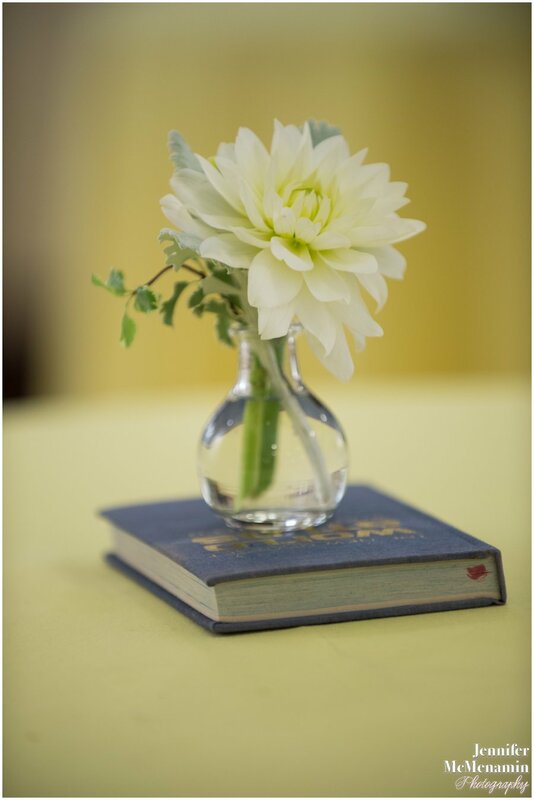 Even the recently renovated Marikle Chapel at Notre Dame of Maryland University was dressed in Katie’s palette of buttercream yellow. 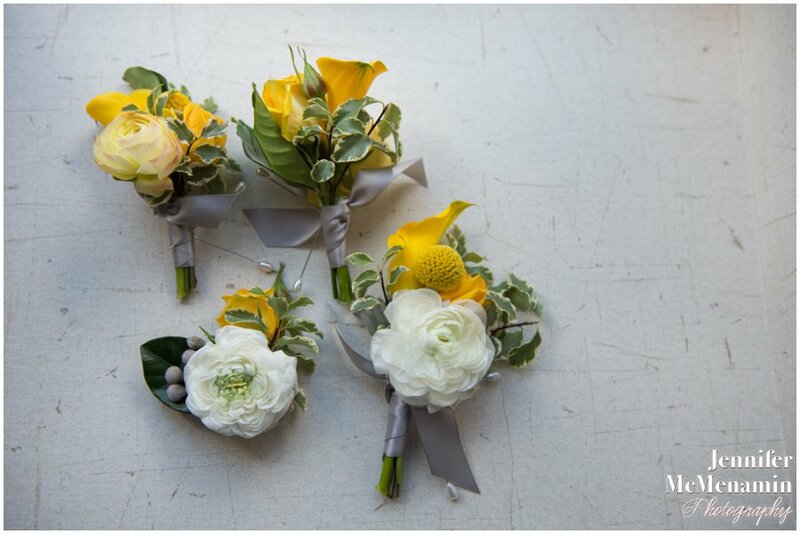 Bouts and corsages were comprised of white ranunculus, yellow spray roses, calla lily, crespedia (better known as “billy balls”) and silver brunia. 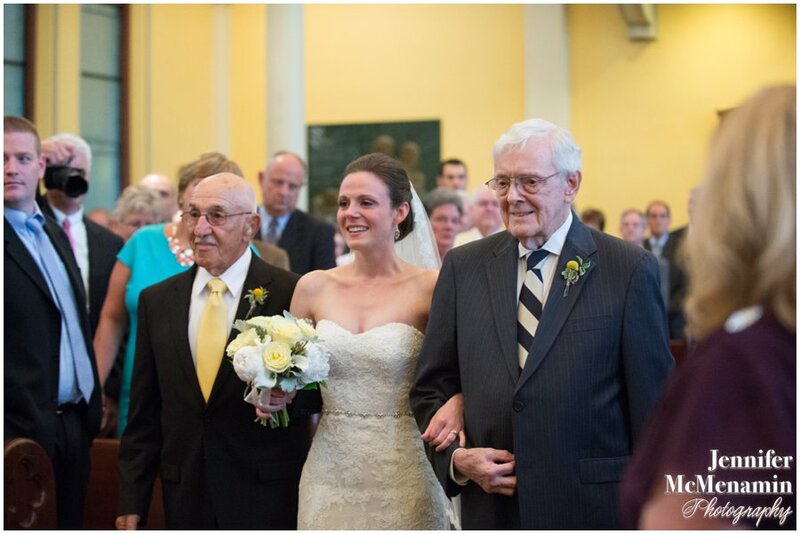 Katie was walked down the aisle by two distinguished gentlemen, her very proud grandfathers. 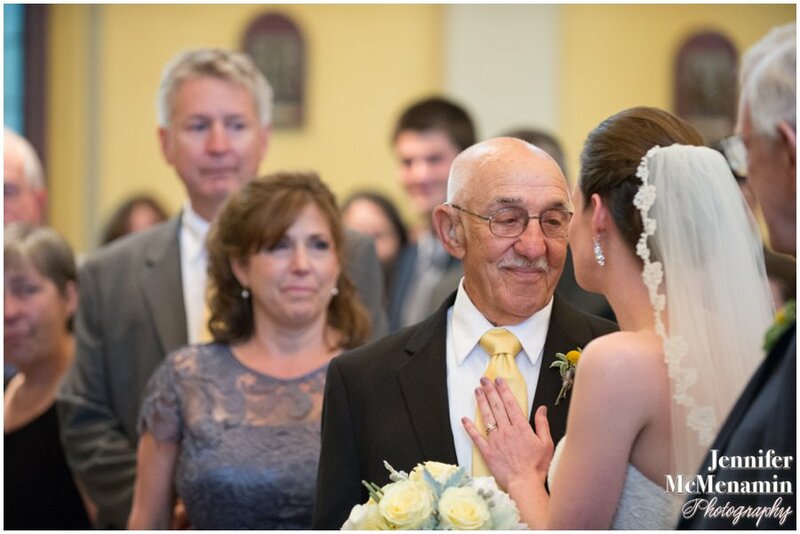 Jennifer certainly captured the depth of feeling as they left their granddaughter at the alter with her waiting groom. 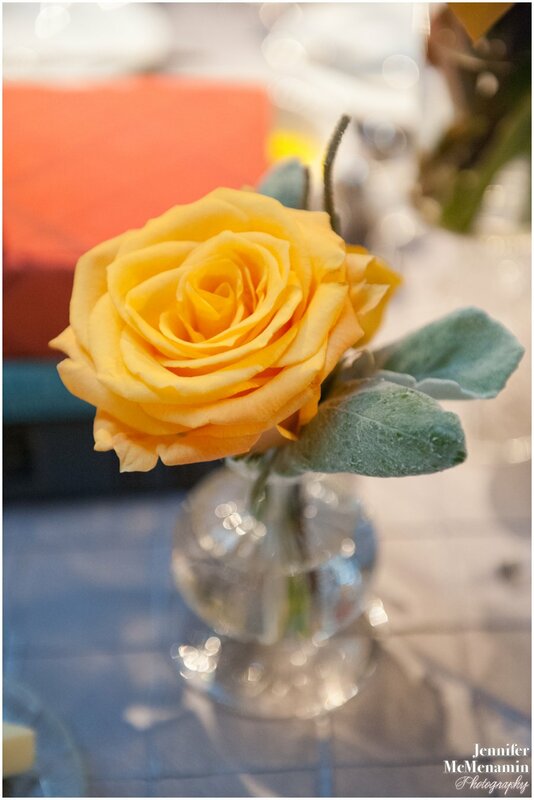 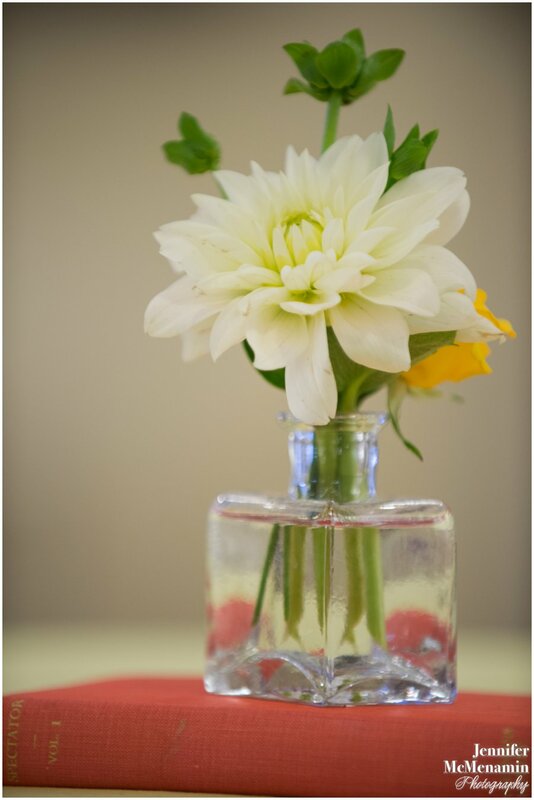 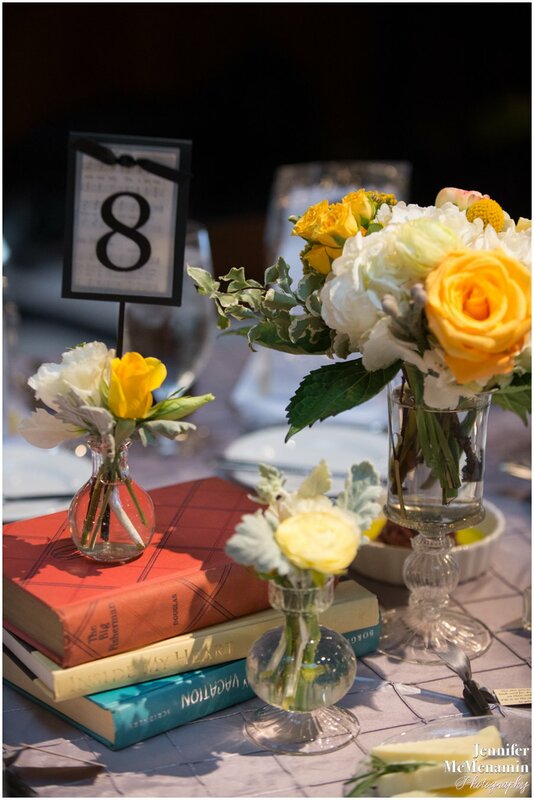 Tables were set with an eclectic collection of books and clusters of flowers in delicate vases. 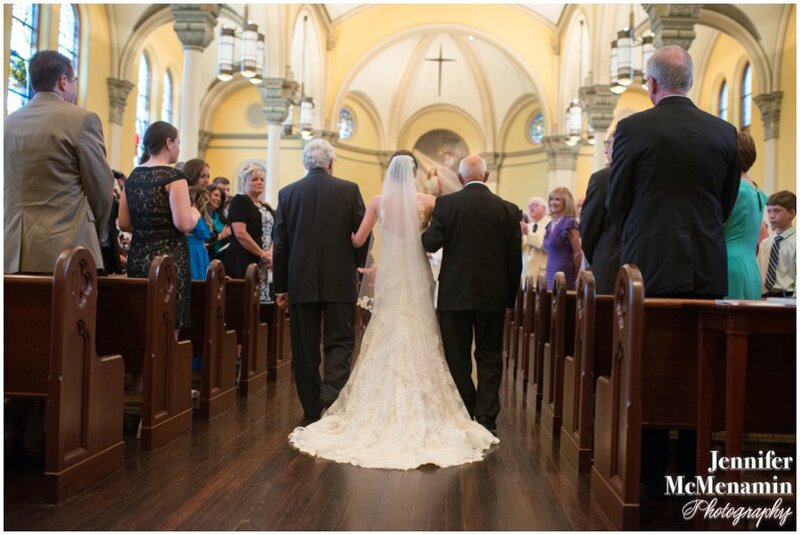 Special thanks to Jennifer McMenamin for letting me share these beautiful pictures and congratulations to Katie and Sean!